Most books on this topic are either soporific tomes or glitzy digests. Works that successfully straddle the divide between Academia and a general audience must not only be brilliant, but brilliantly entertaining, as were authors like G.K. Chesterton and C.S. Lewis. Therefore Joy follows in that tradition, but in the language of Jer’s generation. 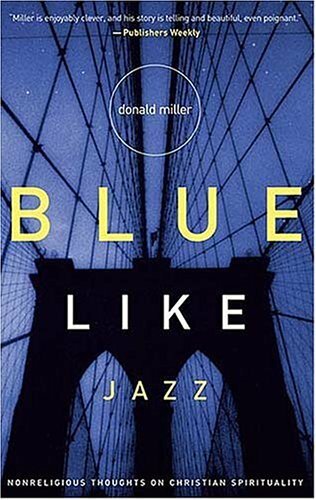 In the vein of Donald Miller’s Blue Like Jazz his writings are relaxed and modern. While being intellectually challenging, and logically rigorous, Therefore Joy is also unmistakably human and heartfelt—at times the reader might laugh out loud. Perhaps most surprising for a philosophical work, it successfully delivers a positive and practical message that enriches everyday life and aims to start a movement. Though thoughtful monotheists everywhere will appreciate Therefore Joy, recovering evangelicals, ages 15-39, will love it. Many are in college or recently graduated. They may call themselves “Christian” but are not always sure what that label means for them. They struggle with theological questions but are not steeped in the literature, which seems either boring, condescending, or both. If only thinkers could grease the skids a little without dumbing things down, these readers would come alive. Thus, in 45,000 words, Jer entertains to enlighten. He takes the topics seriously without taking himself seriously. He tells stories, doles out memorable (and often riotous) examples, and treats his readers like intelligent, busy individuals. Therefore Joy is philosophical theology for a new generation. Readers of bestselling authors like Rob Bell, Brian McLaren, and Shane Claiborne, will enjoy the honest, fresh treatment of the concepts, the nonreligious readability, and the personal invitation Therefore Joy presents. The rise of Open Theism makes predestination a hot topic. Finally, as best-selling scientists like David Eagleman (Incognito) and V.S. Ramachandran (The Tell-Tale Brain) reveal our behavior to be determined, people grow hungrier for a compatible and meaningful view of freewill. Jer happens to have one.